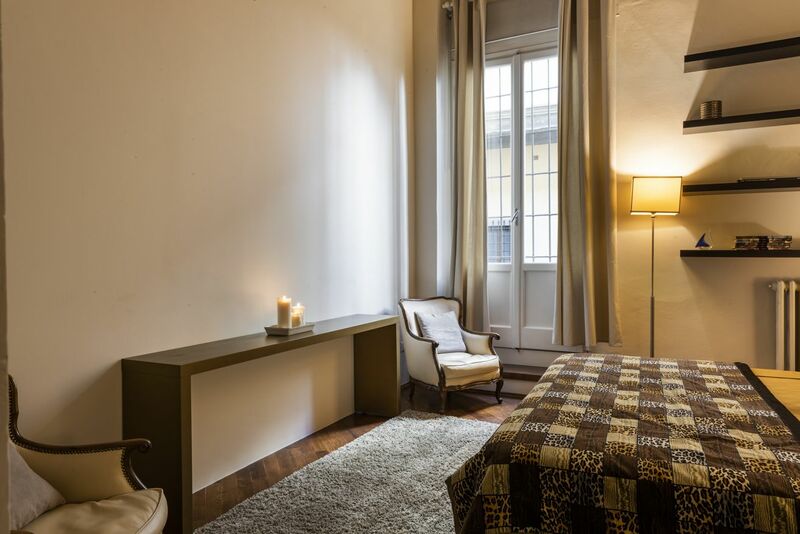 Refined and elegant luxury suite apartment in the heart of Florence: a unique atmosphere for your holiday in the Renaissance city. 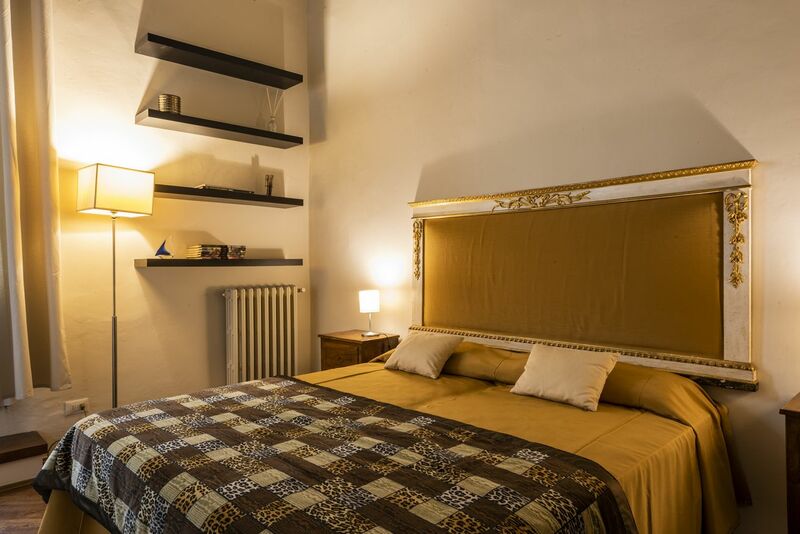 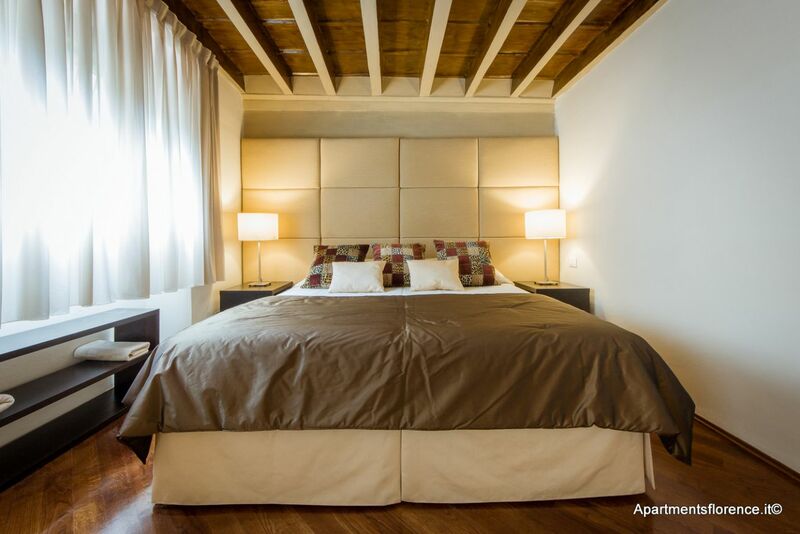 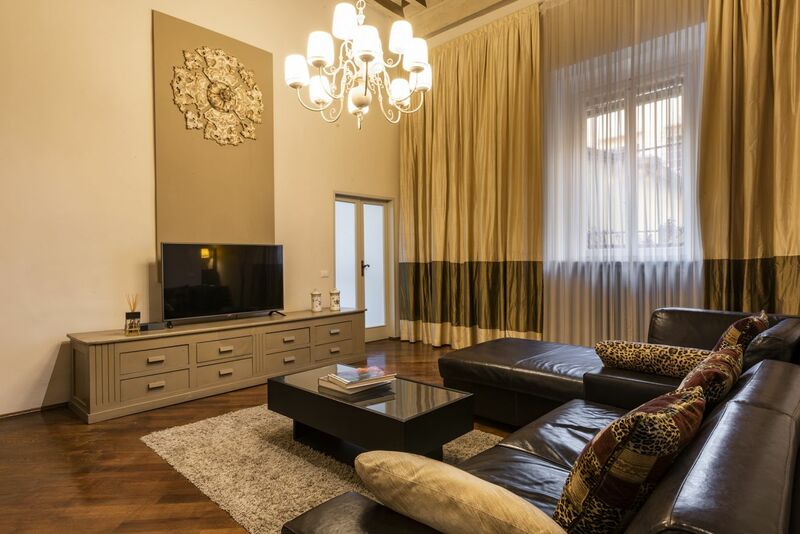 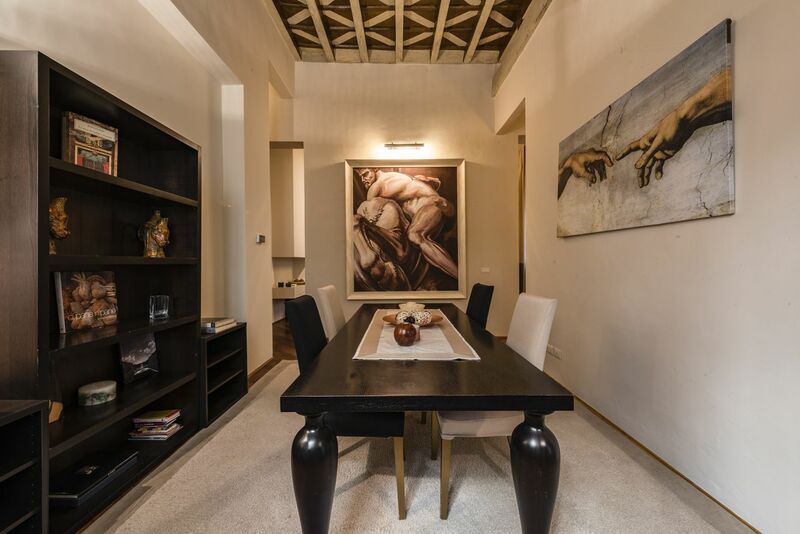 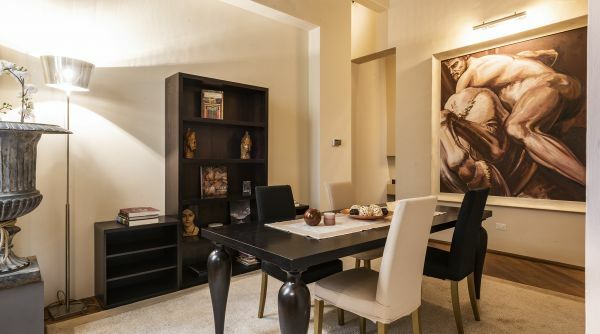 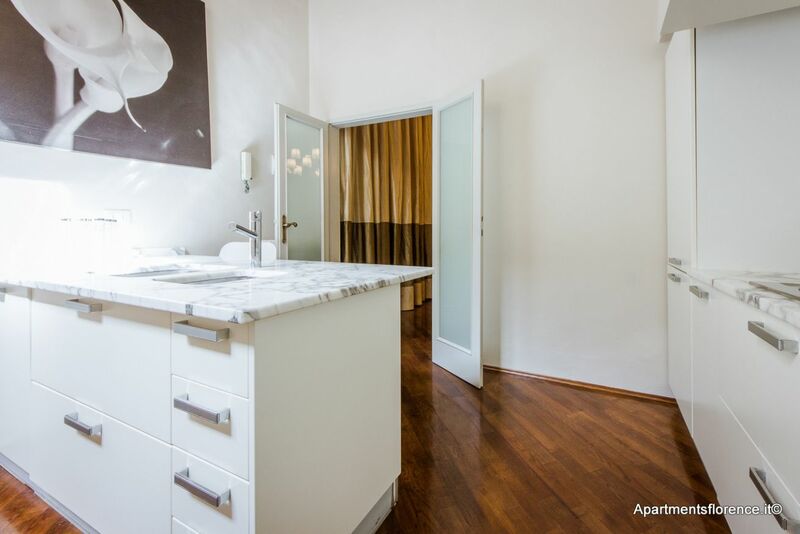 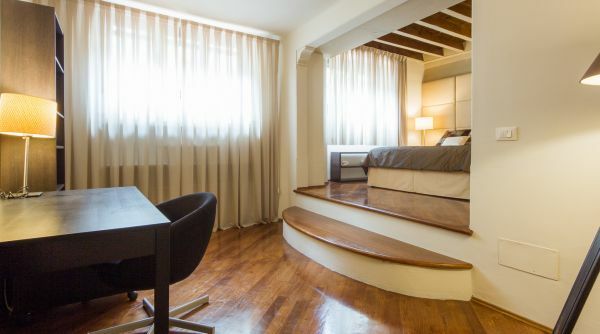 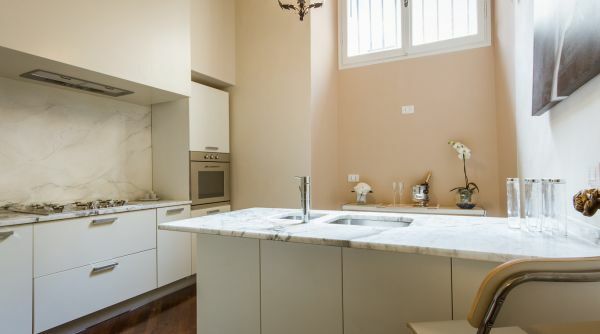 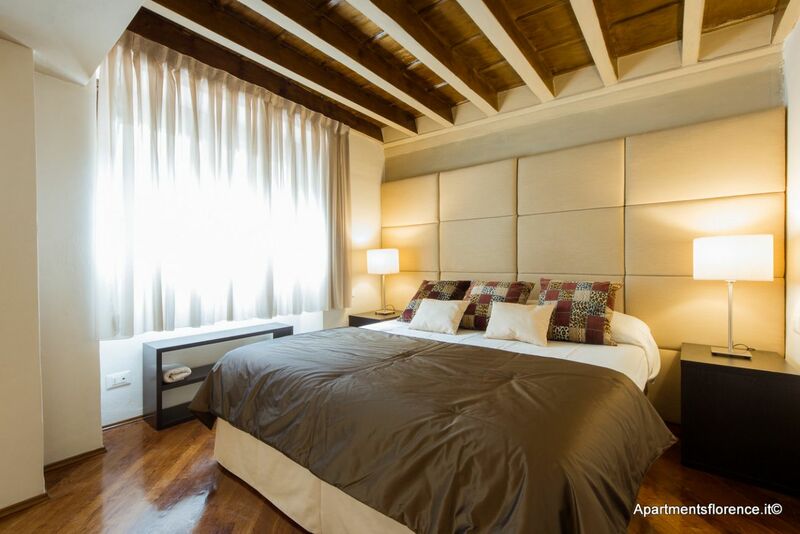 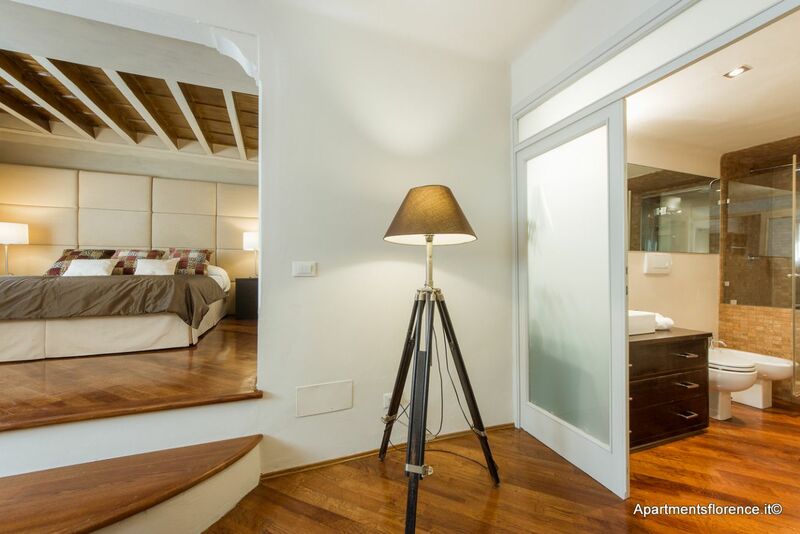 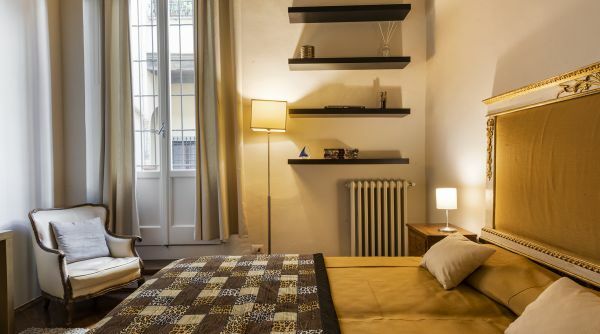 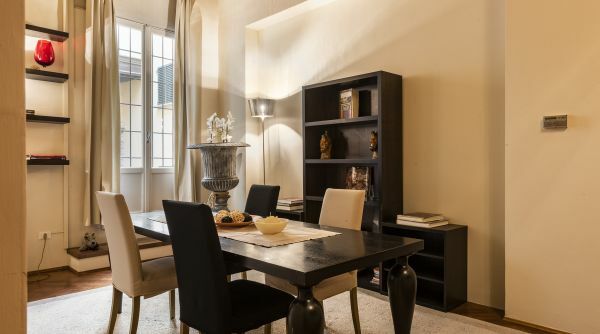 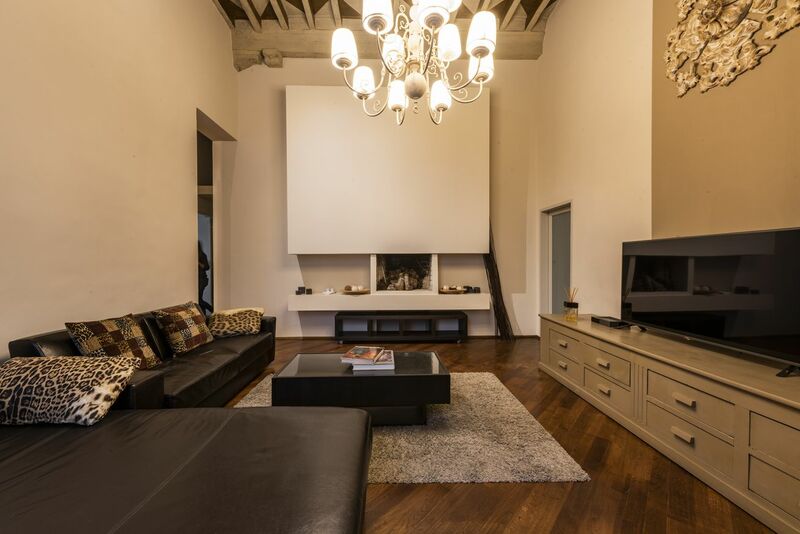 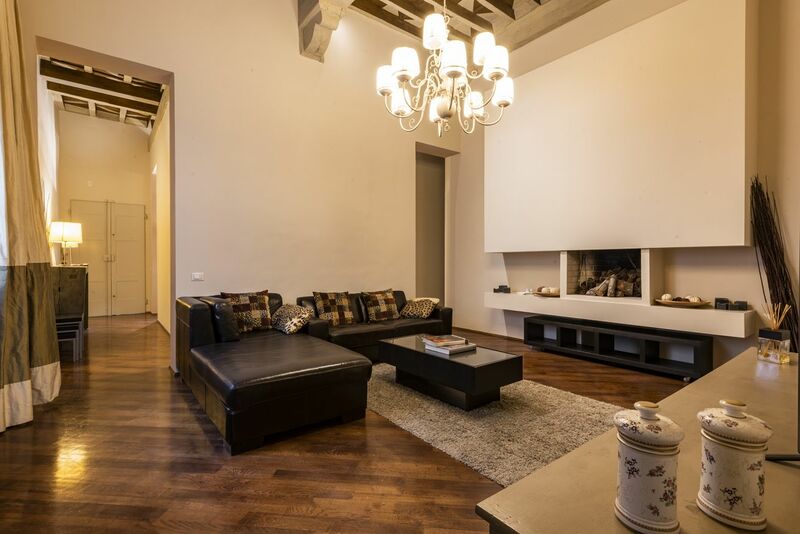 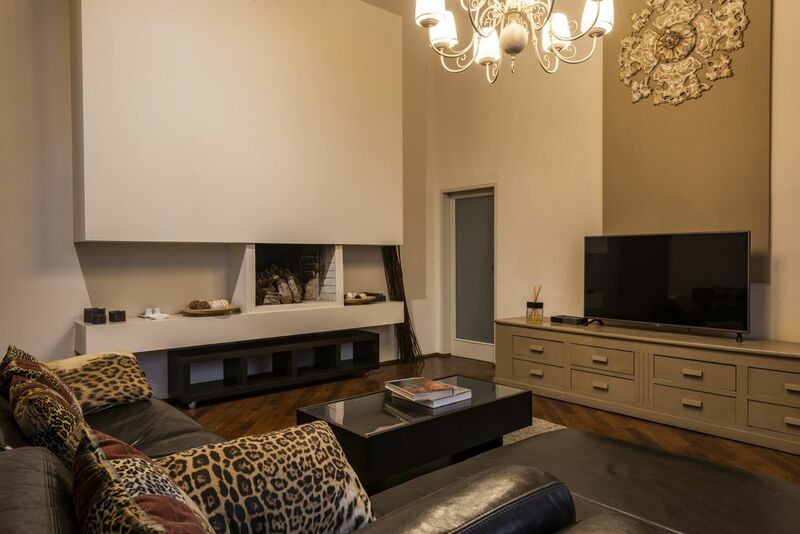 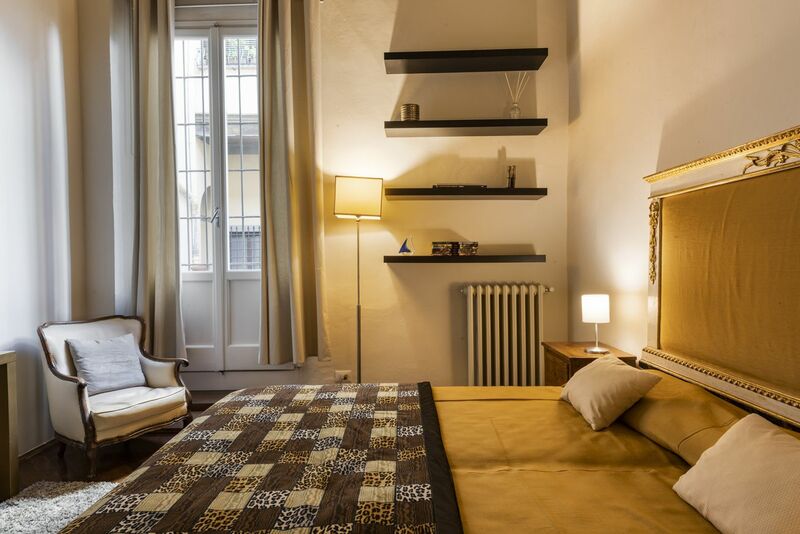 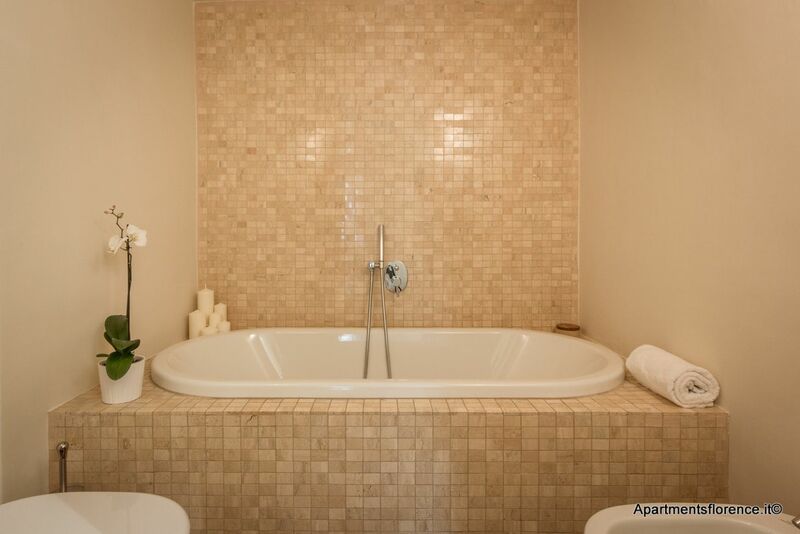 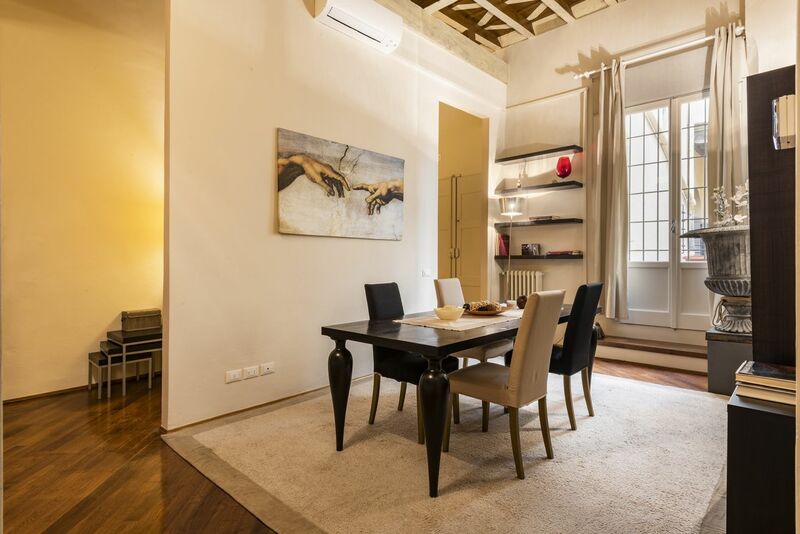 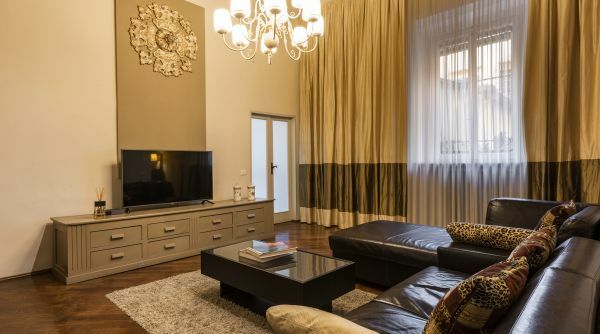 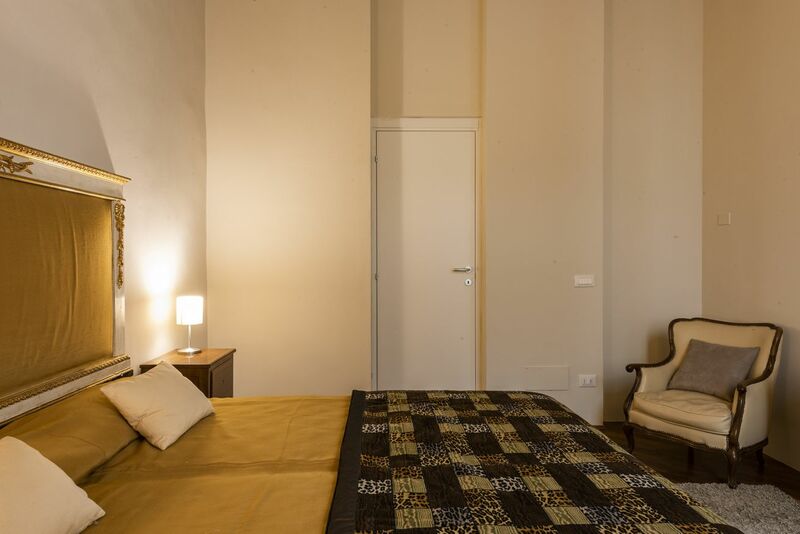 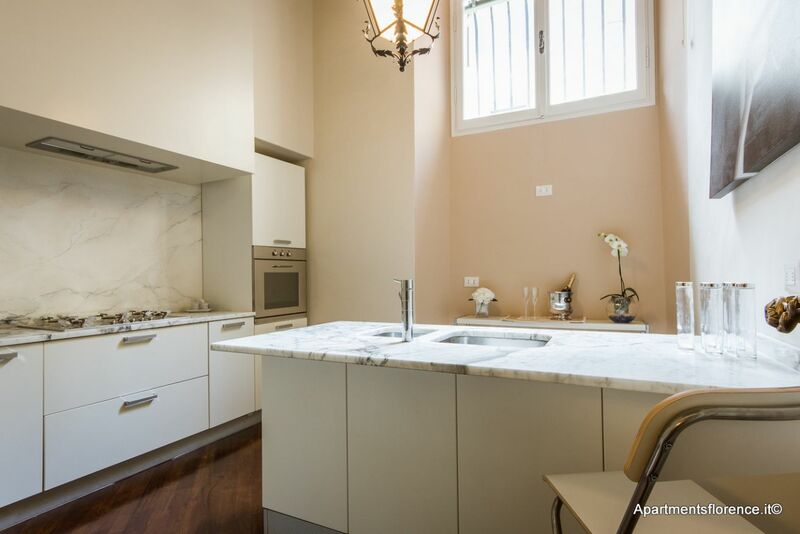 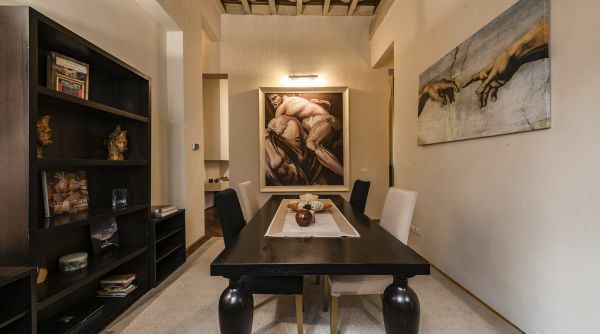 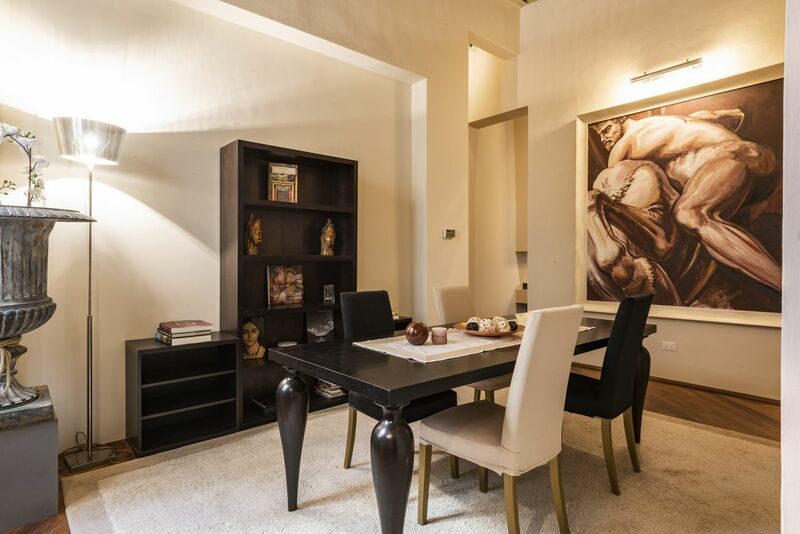 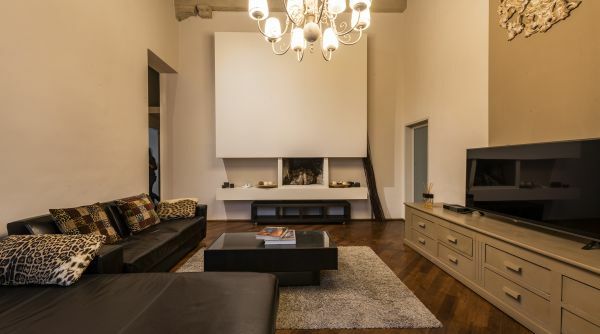 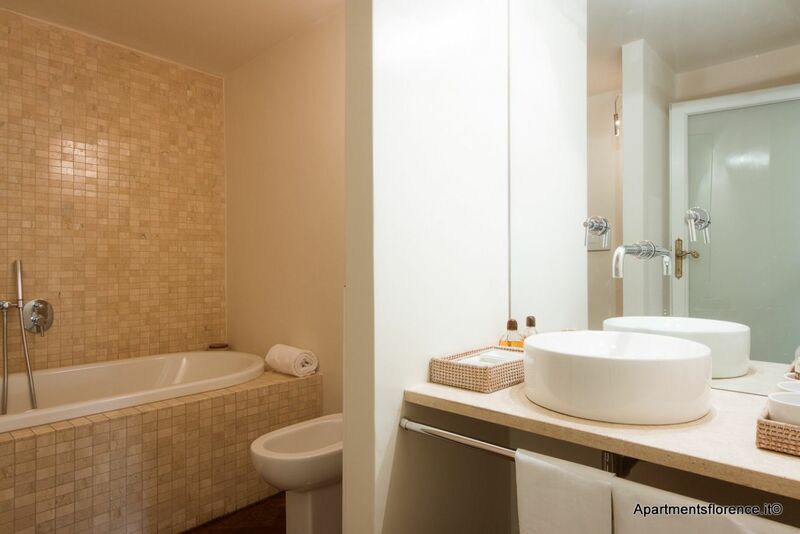 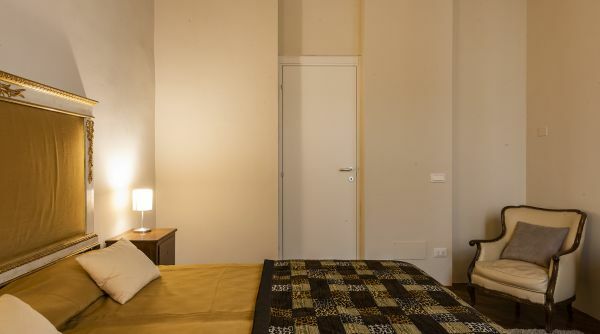 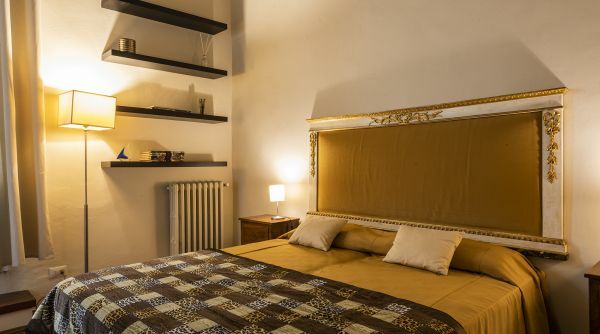 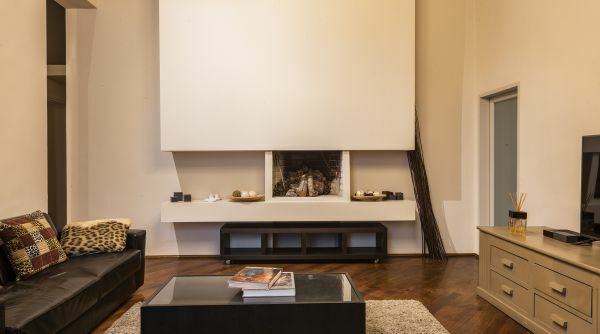 This wonderful, spacious apartment is located in the very center of Florence, in Borgo Albizi, a typical street two minutes away from Santa Croce and the Duomo – and next door to our office! 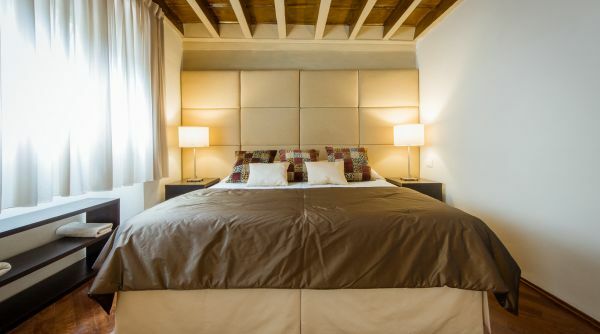 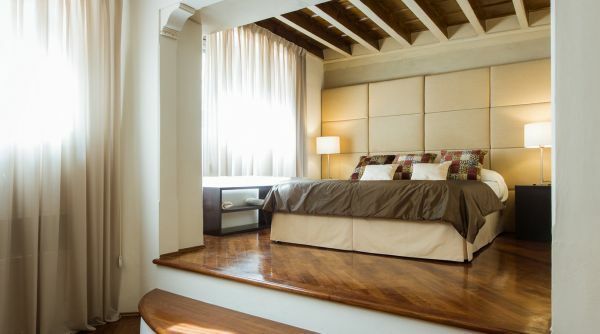 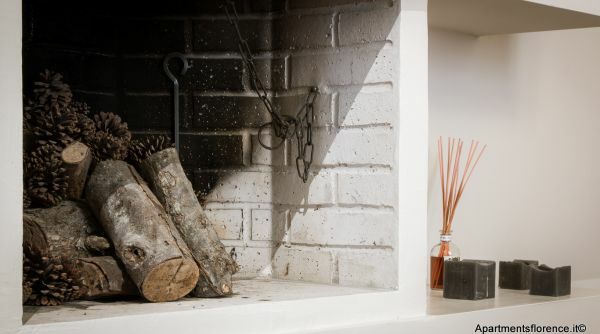 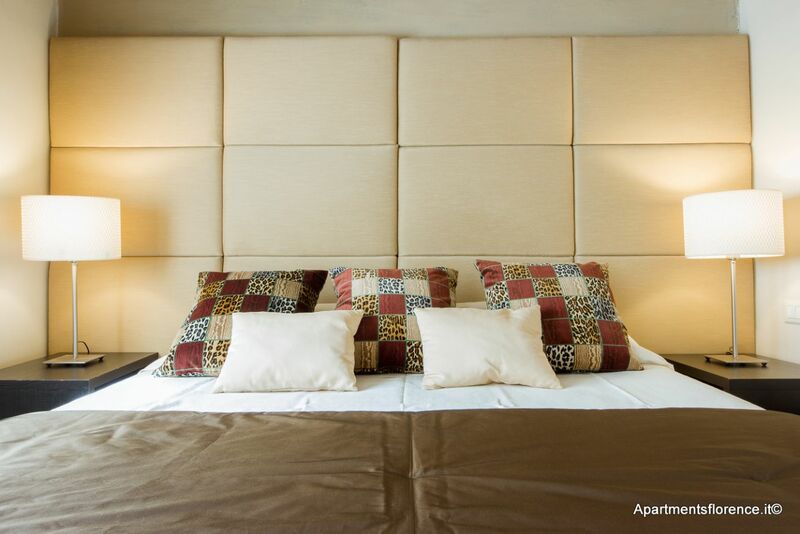 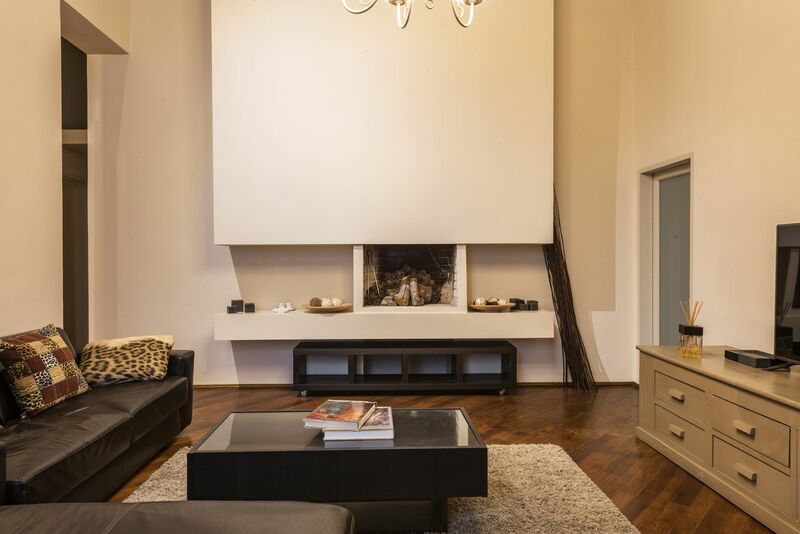 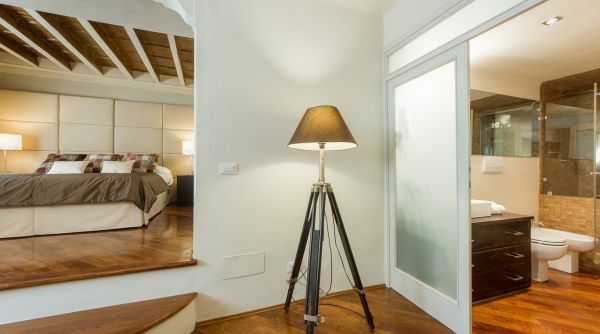 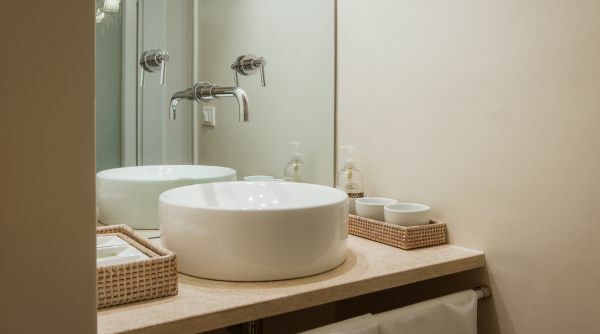 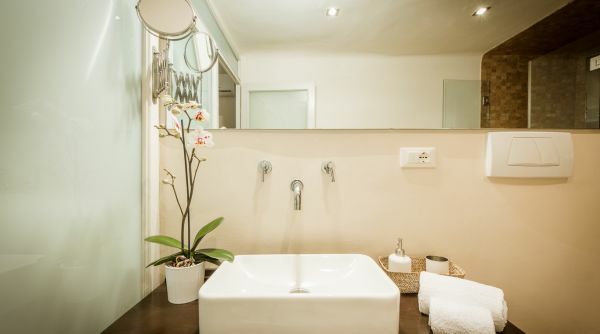 The entire place has just been renovated and completely redecorated with great attention to details, comfort and tradition: hard wood floors, decorated ceilings with exposed wooden beams along with luxury fixtures and contemporary, elegant furniture create a very soothing and welcoming atmosphere for your senses to enjoy and peacefully rest. 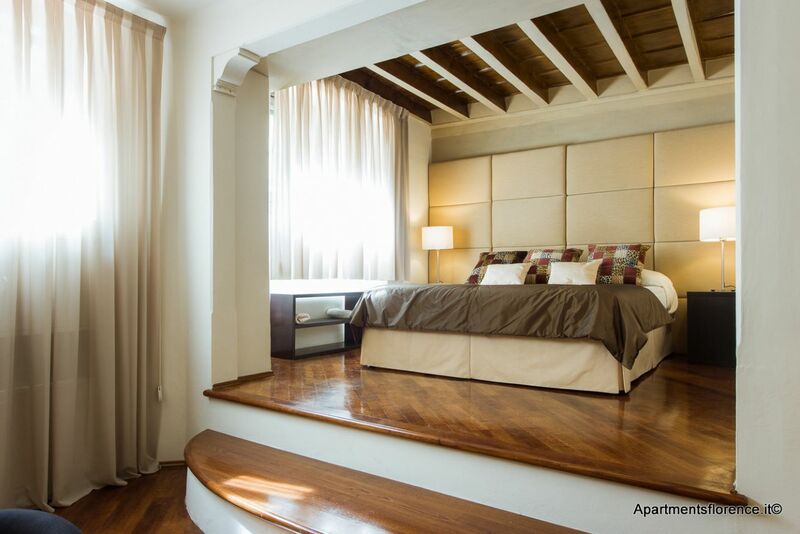 Every room is flooded with natural light thanks to the many windows. 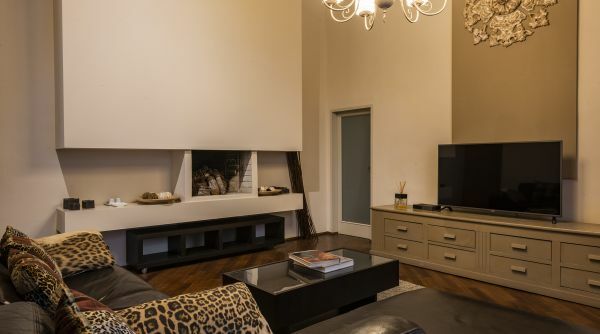 The huge living area is equipped with comfortable sofas, one of which can be turned into a queen size bed, armchairs and a flat screen TV. 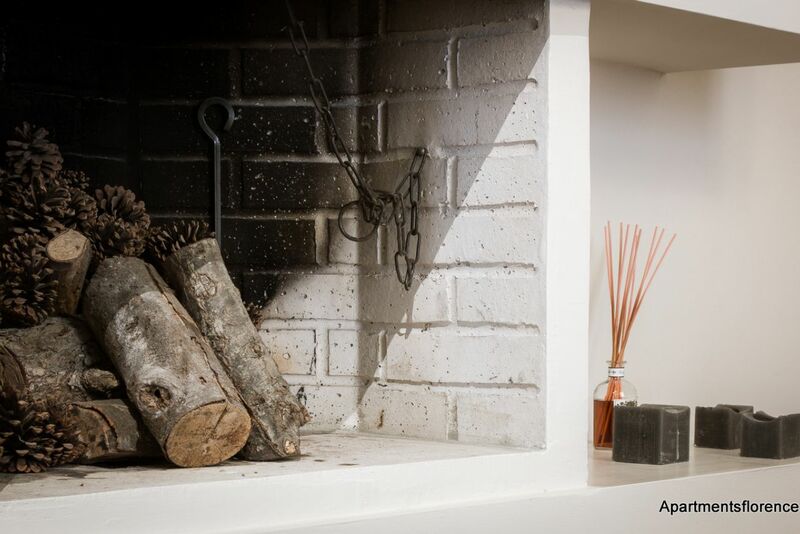 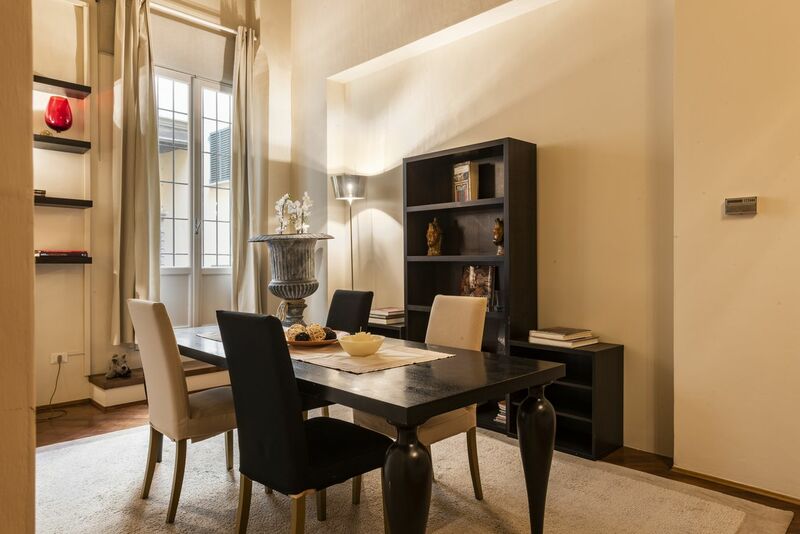 The dining room, just next door, is equipped with a nice dining table and features a wonderful original fireplace. 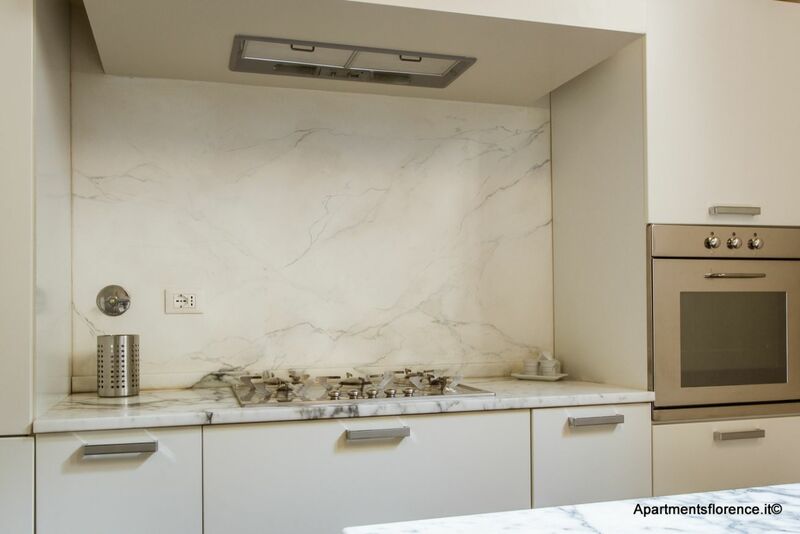 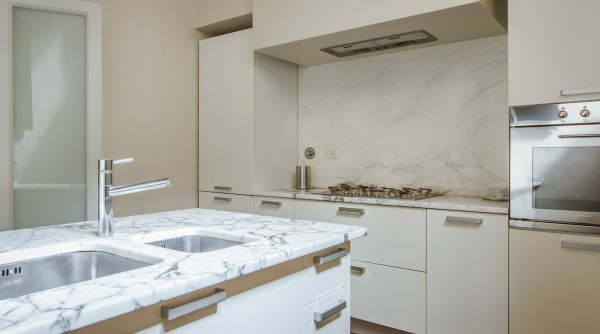 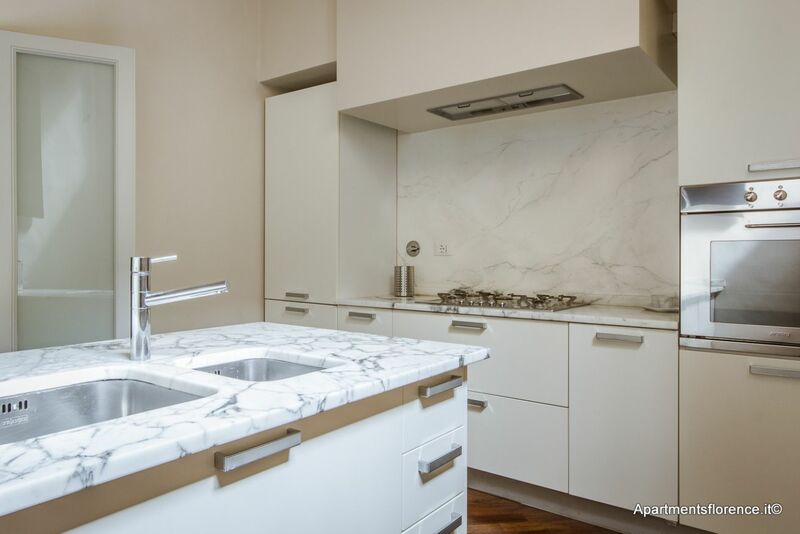 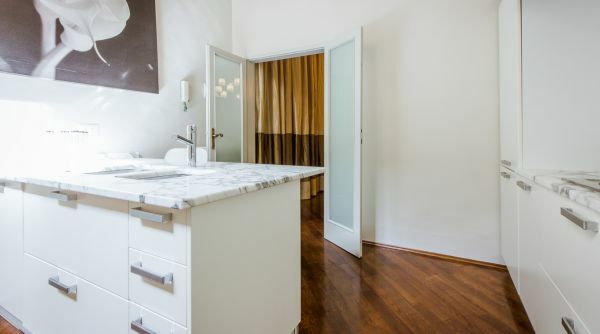 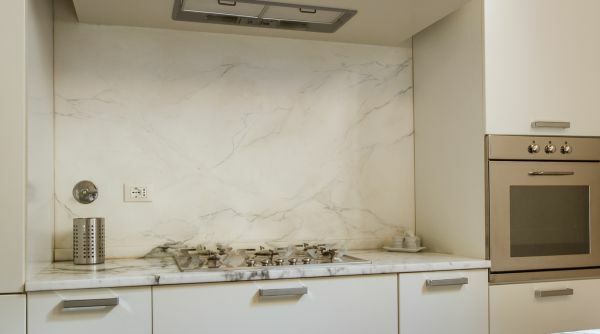 The adjoining kitchen is modern and simple, featuring Italian marble fixtures and fully equipped with anything you may need to cook your own meals. 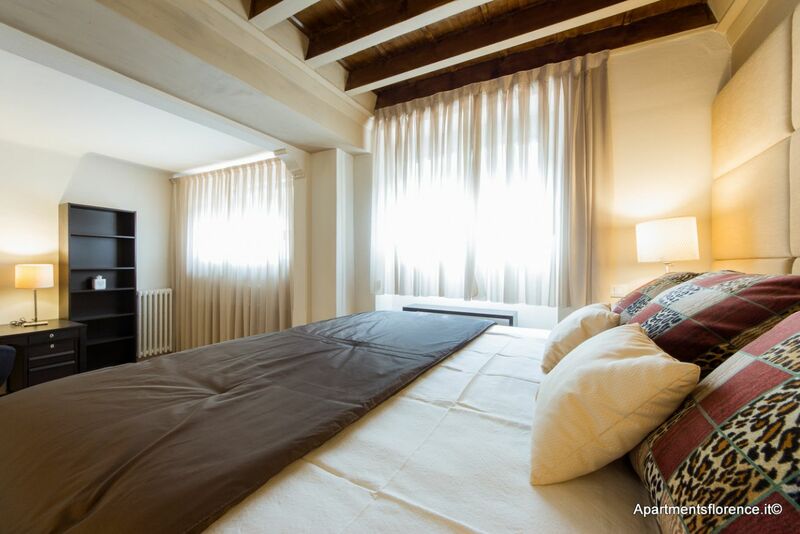 The master bedroom truly is a luxury suite: romantic, bright, cozy, featuring a queen size bed, a studio area and a classy, recently renewed private bathroom with a large walk in shower. 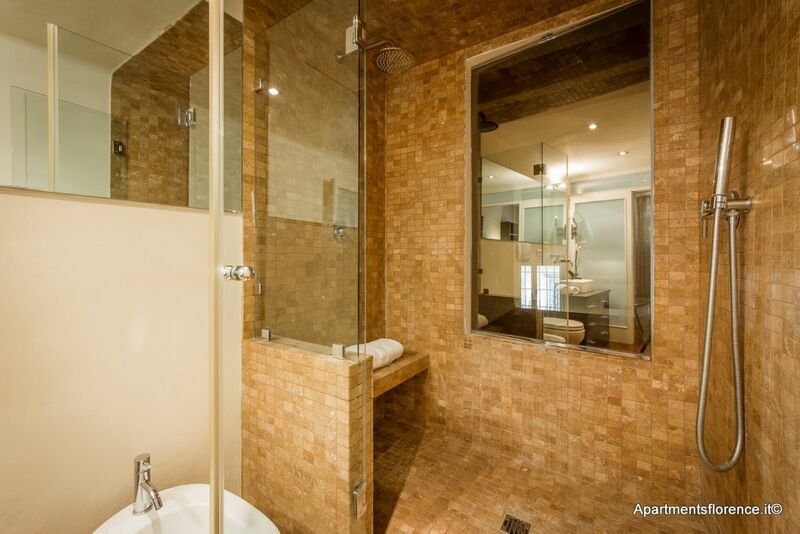 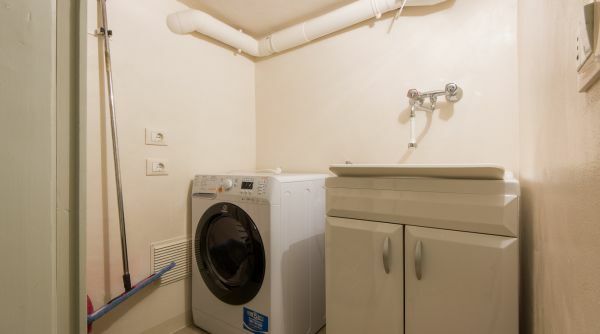 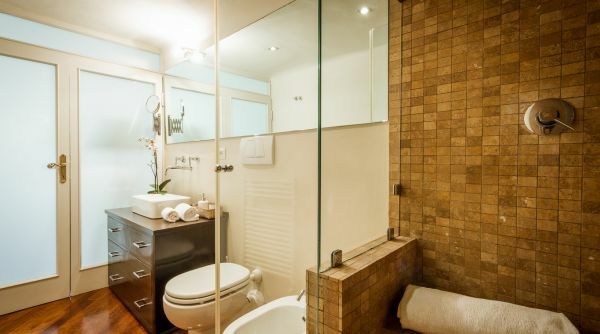 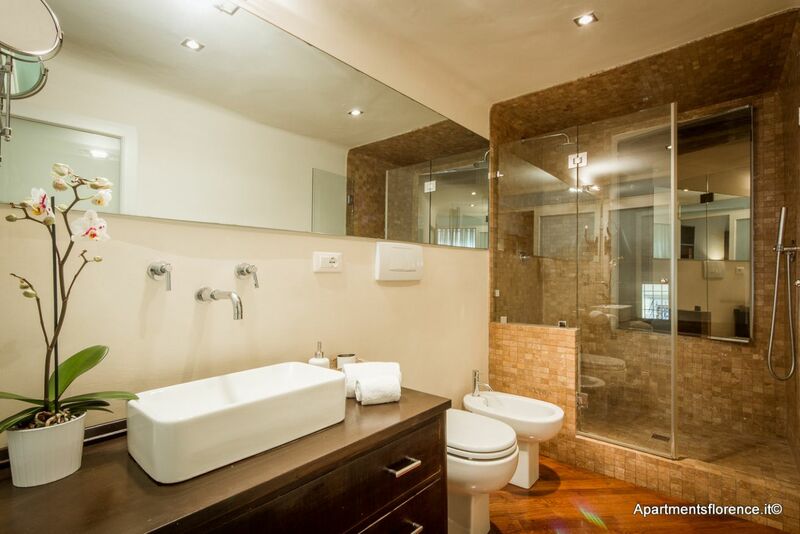 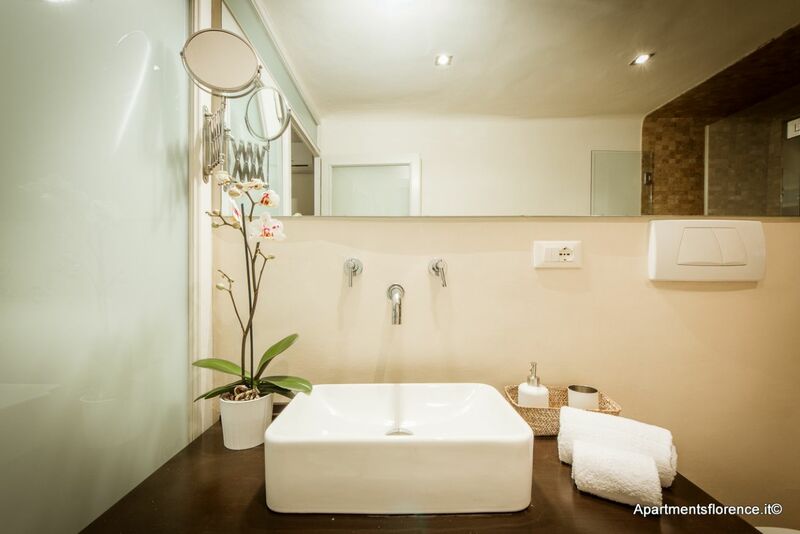 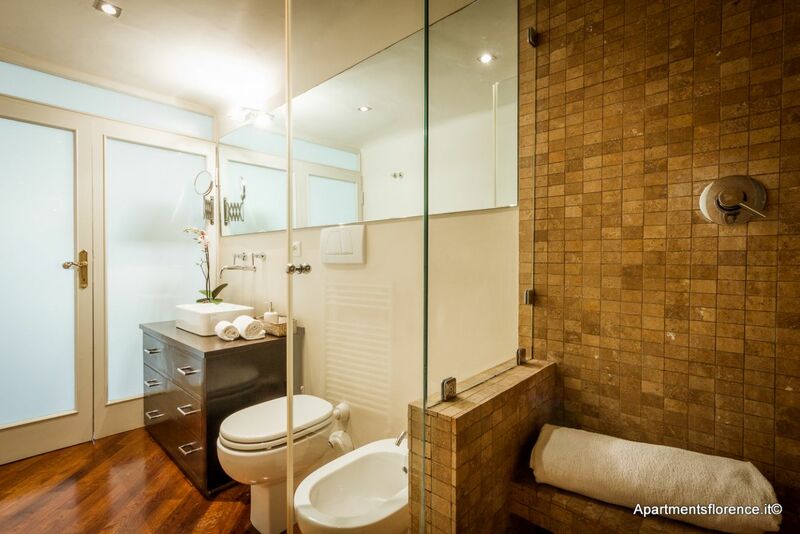 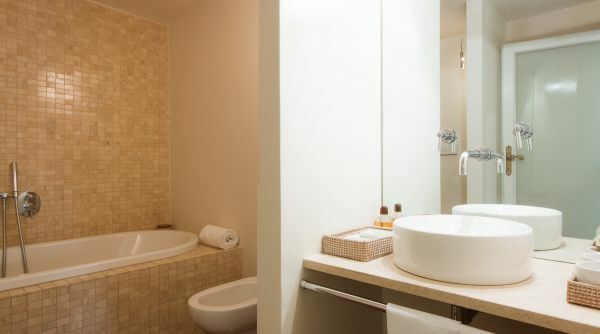 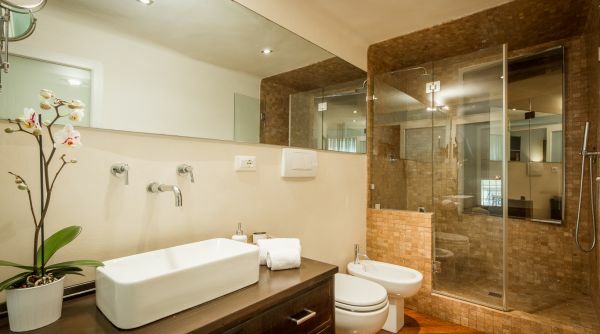 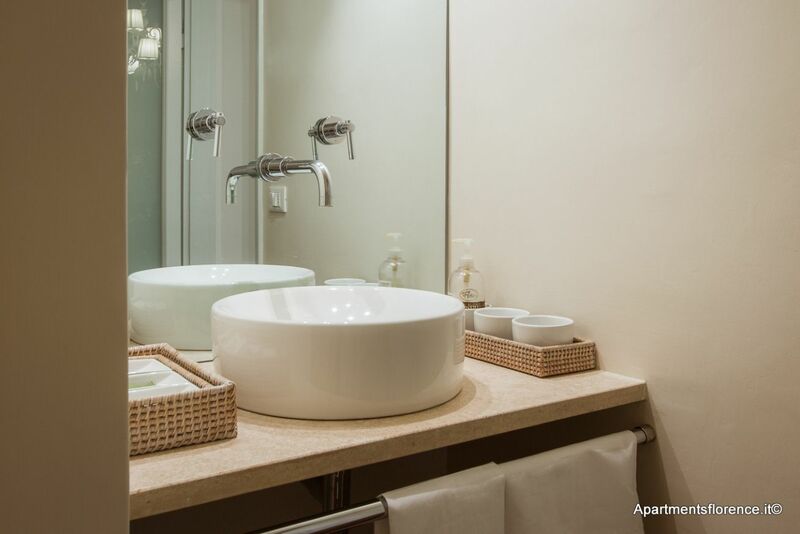 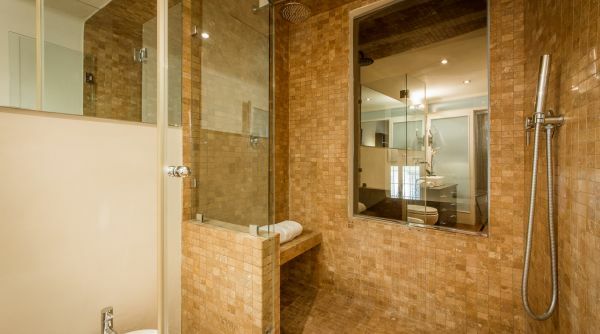 A second bathroom is to be found in the living area. 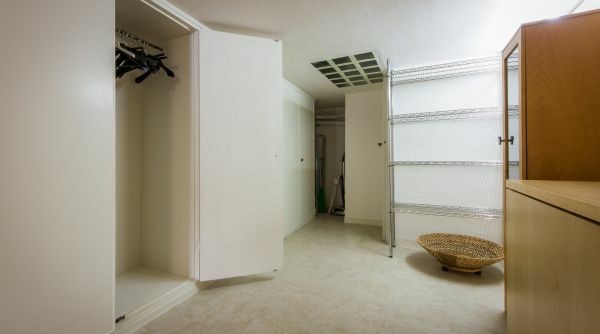 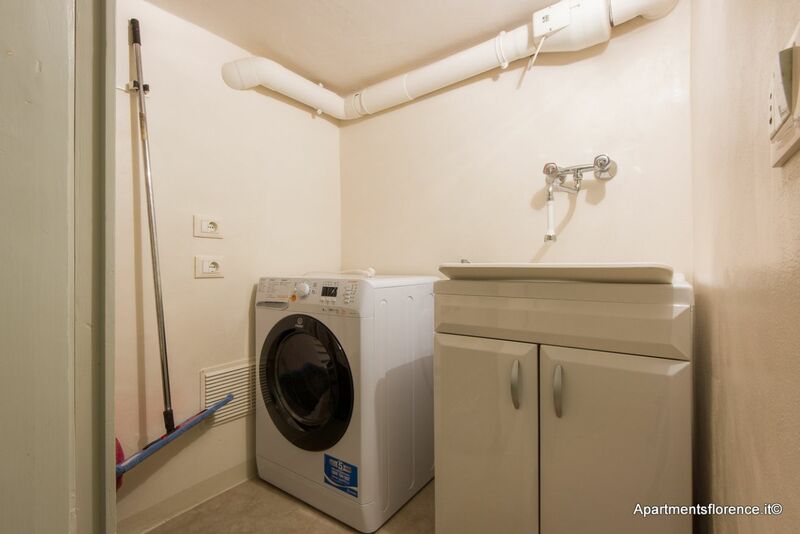 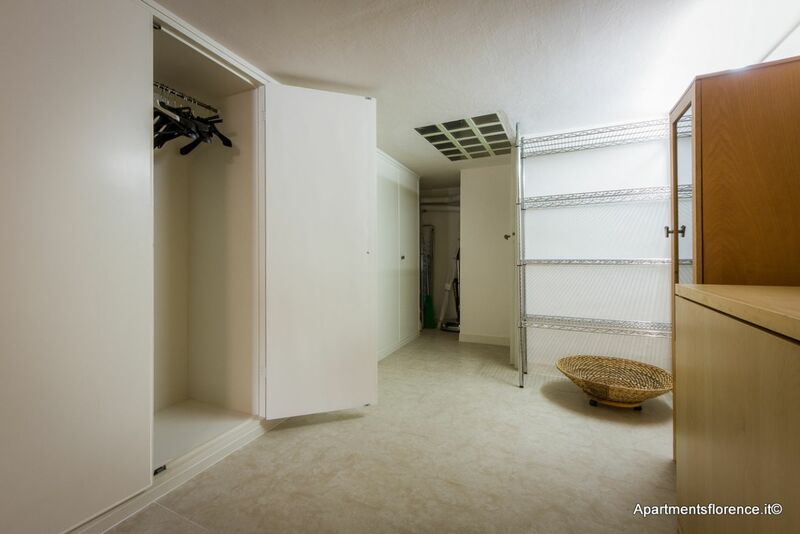 A very spacious walk in closet / utility room along with a nice laundry room complete the picture for the perfect holiday rental in Florence. 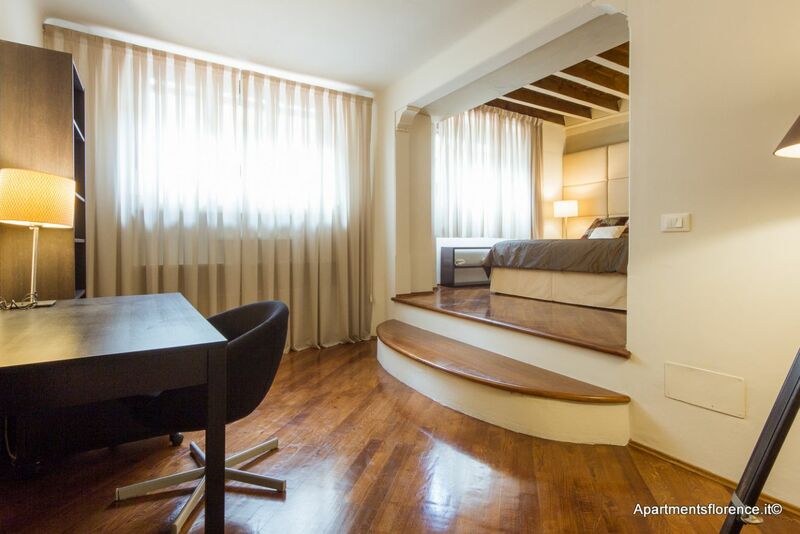 This lovely apartment is the ideal choice for a family or a group of friends looking for a perfect starting point to explore the whole town in just a few minutes' walk. 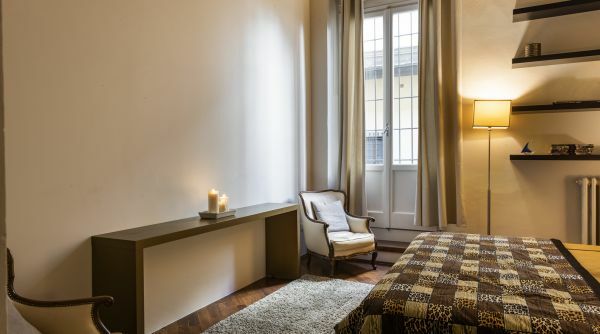 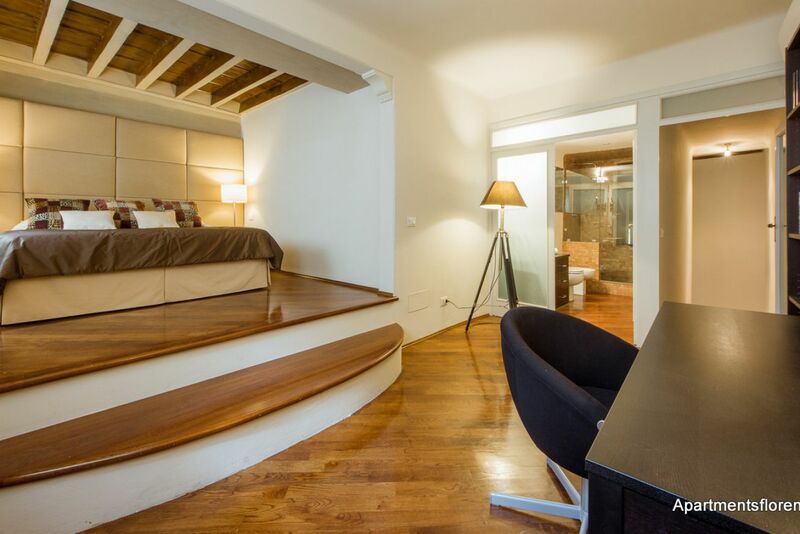 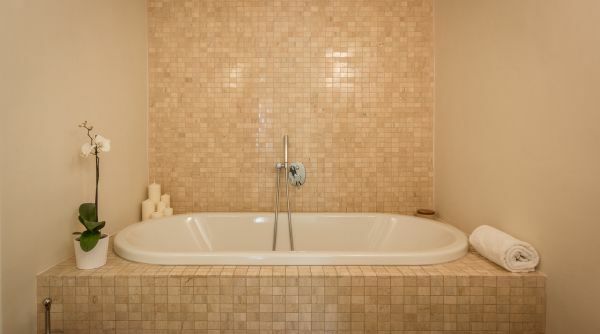 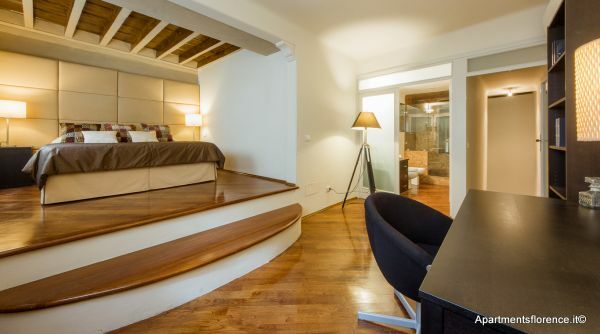 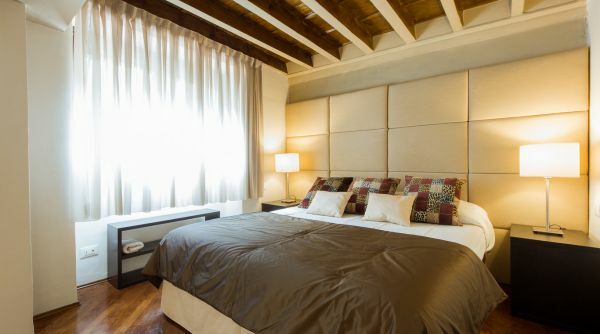 This apartment's exceptional location, mixed with its distinguished refined and luxury character, makes it a very desirable place to spend your Florentine holiday, or even a long-term stay! 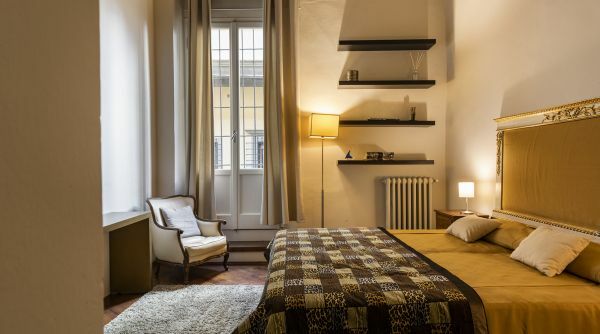 The neighbourhood, Sant'Ambrogio, is one of the most typical and lively areas of Florence, filled with restaurants, shops, the morning farmers' market, live music bars, clubs and only minutes away from all of Florence's beauties. 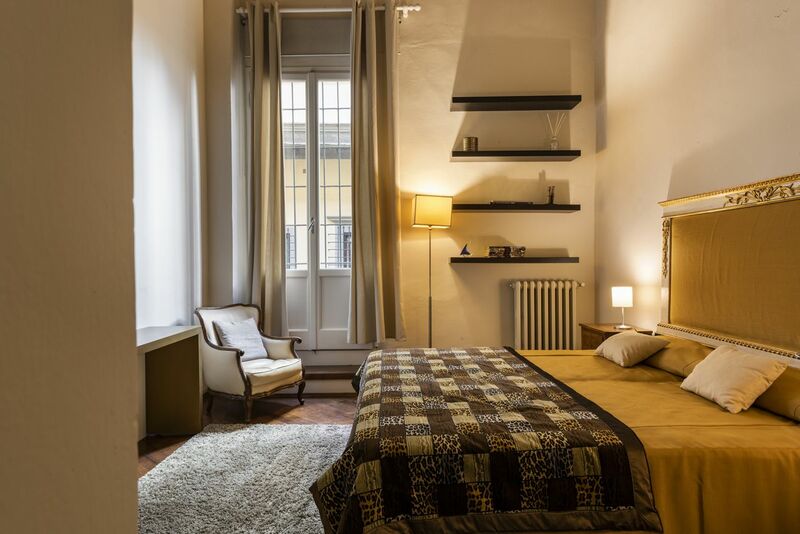 The Duomo, the Uffizi Gallery, palazzo Vecchio, Ponte Vecchio and Santa Croce are all just around the corner.